If you own an iPhone and are passionate about photography, you know it is capable of capturing incredible shots, but it has limits. For instance, the built-in camera is intuitive and works well, but won’t allow you the greater customization of a DSLR, like control over the ISO or shutter speed. For that, you must use third-party apps. Also, you will likely want to edit your photos or share them for the sake of collective appreciation. Below you will find our favorite iPhone photography apps in 4 categories: Camera, Editing, Planning and Sharing. With a simple-to-use, minimalist interface and DSLR-like custom features, ProCamera is a fantastic aid for shooting sophisticated pictures. For instance, you are given control of ISO sensitivity and shutter speed; the white balance mode allows you to manipulate the tint of your photo for perfect results. The anti-shake feature helps you take pictures in every condition avoiding fastidious blurs. You are also free to save your photos in a great variety of formats (JPEG, RAW, TIF, and HEIF), fitting your every need of resolution or compatibility. As a tasteful extra, you can purchase in-app, Low Light mode (to improve the image quality in dark contexts) and HDR mode (to balance the exposure in situations where the contrast is really sharp). Camera+ 2 is another excellent camera app, with many DSLR-like features similar to ProCamera (ISO, shutter speed, white balance). Where it differs, is in a selection of additional modalities that make it perhaps more complete in terms of photography tools. The digital Macro mode allows you to take beautiful close-up shots, to explore the wonderful details of the miniature world. From the iPhone 7 model on, you can also employ the digital Portrait mode. That enables you to obtain a shallower depth of field and isolate your subjects against a blurred background. Other impressive features include: a small but useful variety of editing tools to control clarity, exposure, and color. Additionally, you can apply filters, and the use the interesting Layers mode, to stack several filters on your picture at the same time. 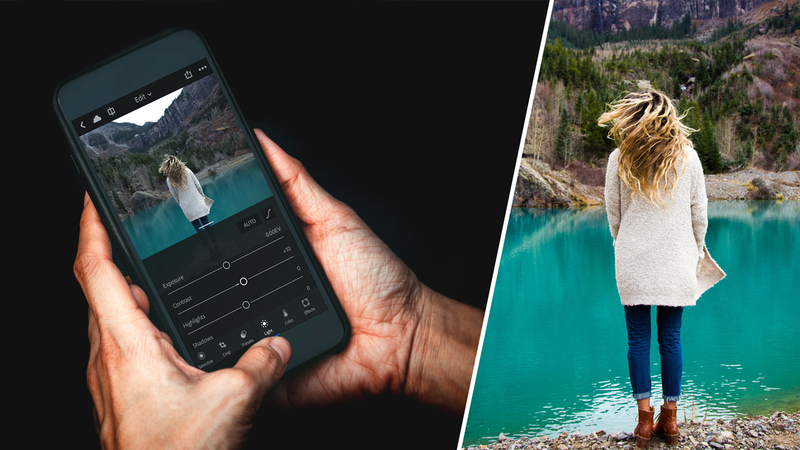 Adobe Lightroom CC is described as the best photography app for professionals, and for good reasons. Its vast selection of advanced editing tools consents you to intervene on curves, exposure, contrast, shadows, color mix and much more. Furthermore, there’s an option to purchase the monthly $9.99 Adobe Creative Cloud Photography Plan to unlock additional features. One such feature is the selective healing tool to eliminate unwanted elements from the picture. Plus, you will be able to sync your work on all your devices via the Adobe Creative Cloud. With an intuitive interface and a user-friendly editing system (like the one-tap application of filters), you could easily recommend this fantastic app to the more enthusiastic beginners. Bonus features? A built-in camera shooting in RAW format. This one is a great little app. Its only purpose is to remove from your pictures whatever element you do not want, easily and quickly. You have a portrait with a few awkward pimples? A power line is ruining your landscape? Or perhaps your pet just photobombed you? With TouchRetouch you can erase any inconvenient feature with a touch of your finger. The app works interpreting the pixels around the area you have selected, and then cleverly uses that information to fill the gap. Lens Distortions is an incredibly suggestive filters app, specialized in beautiful optical-like effects. Very much appreciated by PROs, it is available also for Photoshop and Lightroom. The main categories of filters include lights, natural elements (such as rain, fog, eclipse), and glass reflections. To get you started, the free version comes with five filters from each pack. However, to fully enjoy the app’s stunning repertoire we warmly recommend purchasing the premium version at just $0.99 per month. This app is easy to use (thanks to the selective Control Point adjustment), powerful, and completely free. Snapseed is widely known as one of the best editing solutions for the mobile market. Its vast inventory of tools includes classic standard features such as color, cropping, white balance, and exposure control. Plus, more advanced modes like brushing, curves and healing mode, for the removal of disturbing elements. Also, the apps good filters selection will help you customize your photos with those extra personal flavors. Its portrait tools are a phenomenal extra to retouch face details or even adjust the angle of your model’s head. 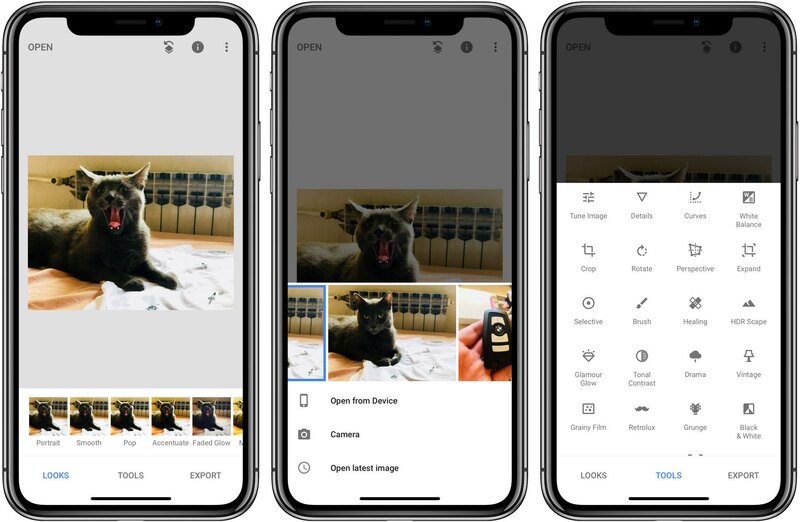 Furthermore, the last edits option will allow you to apply the same edits to different pictures. Probably one of the best selections of filters (famous to be surprisingly beautiful and cinema-inspired). 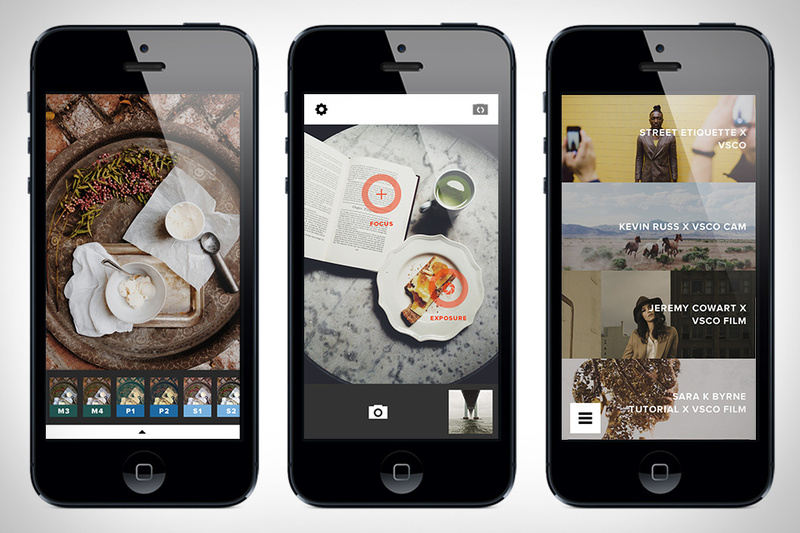 VSCO also providesa small range of editing tools, a built-in camera, and a photo sharing platform. By the way, it’s pronounced “Visco,”in case you wondered. Suppose you want to take a breathtaking landscape shot with the Sun, the Moon or the Milky Way showing in a very particular position. Say in the narrow opening of a semicircular mountain peak. How would you plan it? Back in the day, you probably would have had to dive into rather complicated calculations, and then wait for hours. Now, thanks to PhotoPills you don’t have to wait on the spot so that you don’t miss your shot. The procedure is easily described in the app’s 3-steps motto Imagine, Plan, and Shoot. First, you need to imagine your fantastic idea for the shooting. Then, you type all the details in the app, and you let it do all the hard planning. Finally, you show up at the chosen location, at the time indicated by PhotoPills, and you shoot your award-winning picture. For better planning, you can also use the incredible 3D Augmented Reality tool. It shows the position or path of the Sun/Moon/Milky Way even when they are not present. With a user base amounting to more than 800 million, Instagram is doubtlessly the largest and the best photo-sharing platform available. Sure, it comes with a bunch of useful features: like a nice selection of filters, or a social modality for a private chat, or a comments section to interact and share ideas with like-minded people. But that’s not why Instagram is so unique. Instagram is unique because with a few simple steps you can share your photos with millions of users, interact with an enthusiastic community, and potentially grow a huge following if you do your job well. 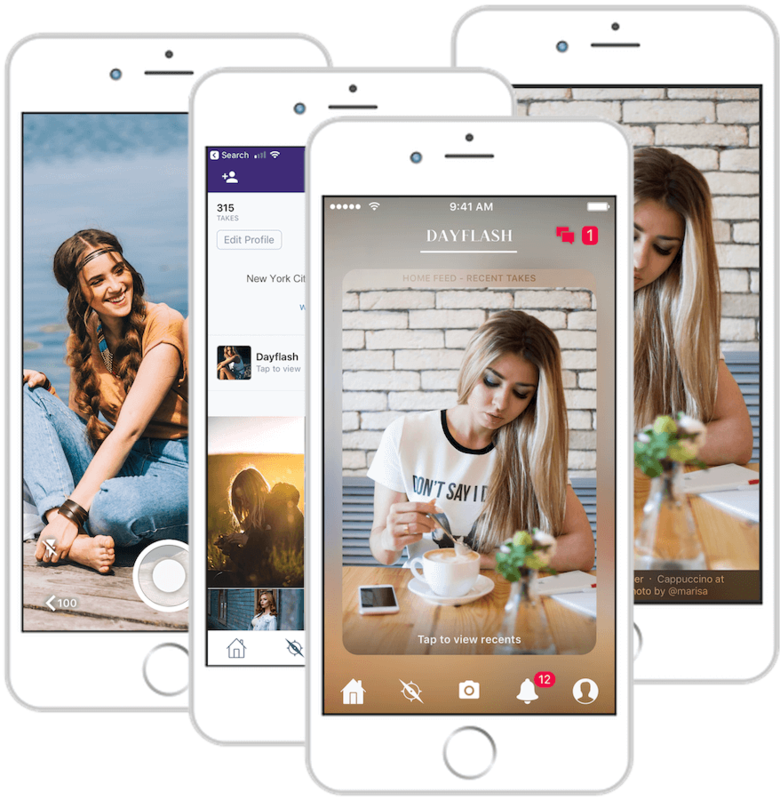 Dayflash is a photo-sharing platform that thousands of famous Instagrammers and pro-photographers have been using with enormous enthusiasm. 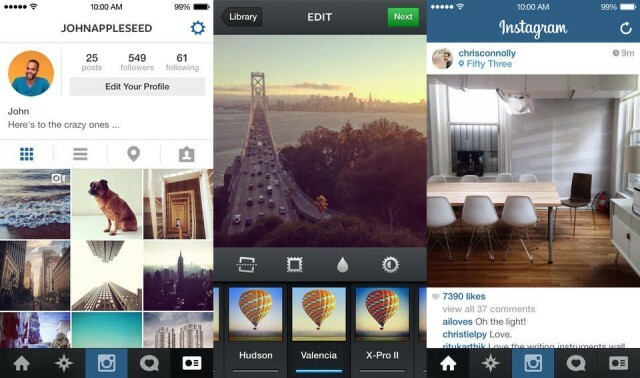 Even in the weeks of the invitation-only pre-launch phase, many Instagrammers jumped ship. Dayflash focuses on creative freedom, authenticity, andvisual aesthetics. Its community, compared to Instagram, is a warmniche of professional photography lovers. The app’s interface aims to be a visually inspiring experience, like its modality of picture-sharing in a beautiful and unique full-screen format. Also, instead of being a competitor, it seamlessly integrates with Instagram. You can share your IG on your Dayflash profile, and then you can access whichever account with just one tap. It’s not easy to write about the best iPhone photography apps. Why, because, technology and features change almost daily. If that wasn’t enough, you have to consider that every photographer, has a beautiful OCD soul, and her/his personal preferences. So this list cannot, by any means, be objective. Do you agree with our app choice?